← New Forest: pony mares go boy mad! To celebrate the New Forest pony breeding season, which runs from Monday 14th May until Monday 18th June*, and is when licensed stallions are released to run with the free-roaming Forest mares, I thought that I would take a look through my history files to see if I could find some stallion stories. It seems that stallions in general, but particularly the Thoroughbred and Arabian breeds, have long been celebrated in press for their characteristics, such as physical beauty, sporting prowess and the ability to sire champions. This is why both types have, historically, been mixed with New Forest ponies. Marske, the sire of Eclipse, arguably the most famous racehorse in history, was kept in the New Forest for a time to be put with Forest mares. As soon as his famous son became recognised as an athletic superstar, Marske was sold on at a vast profit to be used on more distinguished thoroughbred stock. Two purebred Arabian stallions, Abeyan and Yurasson, were loaned by Her Majesty Queen Victoria, to be kept at stud by Lord Montague of Beaulieu and David Jones of Warborne, in Boldre, respectively; but the commoners complained that unless they were run with the Forest mares they would have no impact in ‘improving’ the breed. 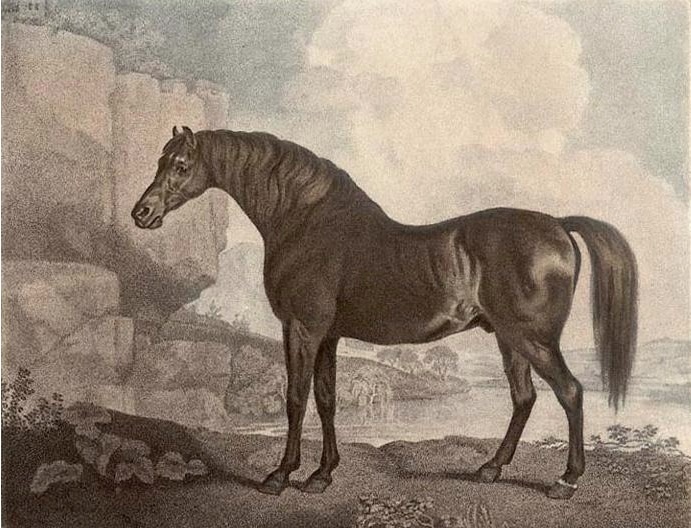 Other nineteenth century attempts to develop the New Forest pony breed have included stallions, such as, Sprig of Shillelagh, an ex-Irish Steeplechaser, who was kept at Harrow Farm, Bransgore, to service visiting mares; and Hebridean, Blue Roan, West Highlander and Brockenhurst Joe all of which were turned out on the Forest ‘in various quarters and kept in pasture during the winter season.’ According to reports Blue Roan and Hebridean both died in the Forest in the early autumn of 1892, ‘having done good service.’ Unfortunately the report does not mention exactly how the two stallions died but it was recorded that Blue Roan had been earlier ‘knocked about’ by another horse, to such an extreme that the offending animal had to be removed from the Forest. In times past incentives were available for the production of quality horses. Some agriculture shows, for example, even offered decent prize money for stallion classes in order to attract the finest examples of horseflesh. 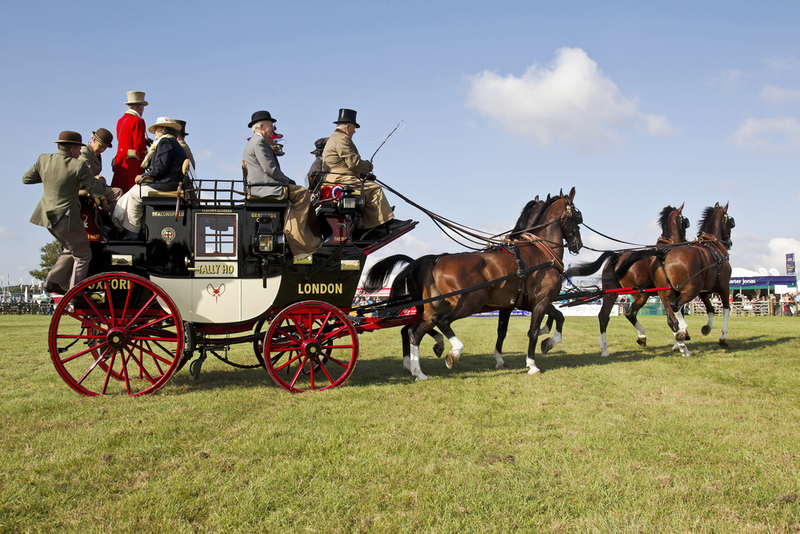 In July 1844, the Royal Agricultural Show offered 30 sovereigns (equivalent to approximately £1,323 in today’s money) to ‘the owner of the best stallion for agricultural purposes, of 4 years old, and upwards’. Prize money was also offered in local shows, as an inducement to farmers to present their top horses. In November 1845, the Lymington Agricultural Society reported that Thomas Cheyney had received £5 5s (equivalent to approximately £231.53 in today’s money) for ‘the owner of the best cart stallion’, although it was admitted that his was the only entry in that class. The Times reported that War Office premiums had been awarded to several ponies presented at the Lyndhurst annual show, in 1930, including Mrs. Grosvenor’s Orchard Wellington, which had won two cups and a medal in the previous year, and had secured the cup for the best five-year old forest-bred stallion, which had run in the Forest since three years old. (The War Office premium is a reminder that horsepower was also used in warfare too.) Of course in those days stallions roamed with the mares all year round and part of the Agister’s job, back then, would have been to break up the fights between the stallions. The year 1930 marked the period from which only registered, licenced stallions were allowed to run with the free-roaming mares. The New Forest stallions of today are much more civilised in their behaviour, but this does not mean that they necessarily behave like pets. The stallions are released each year to do a job, and visitors to the Forest are reminded that, to avoid incident or injury, it is best to leave them alone to get on with it. Marske was used as a Forest stallion for four years and was the sire of the legendary racehorse Eclipse. ‘Mail Coach Accident’, Hampshire Advertiser, Saturday April 1830. ‘Petersfield’, Hampshire Advertiser & Salisbury Guardian, Saturday Evening, April 22, 1837. This entry was posted in New Forest, New Forest Stallion and tagged aggressive, Agister, agricultural show, animal, breeding, Eclipse, foal, Hampshire, horse, horseflesh, horsepower, kicked, Lymington, Lyndhurst, mail coach, mare, Marske, money, pets, pony, prize, Salisbury, Southampton, stage coach, stallion. Bookmark the permalink.